It is officially the time of year that we must begin thinking about and start planning for our Annual NPT Chapter Membership meeting. This year that meeting will take place on October 23 in Long Lake, NY. We ask you to please save the date and make every effort to attend. We will be sending more announcements out on this meeting with more information in the days, weeks, & months to come. We hope to see you there! In accordance with our bylaws we have some important chapter positions that must be elected at the annual meeting. The following chapter positions are available due to the ending of temporary executive committee appointments at the end of this year: Secretary, Treasurer, Membership, & Vice- Chairperson. Lastly, the position for Chapter Chair will also be voted on as I will be ending my first 3 year term as outlined by our chapters rules. In order to facilitate these important chapter elections, I have asked a few chapter members to form a nominating committee. They will be responsible for collecting & presenting the nominations for our open positions to the membership at the annual meeting at which point they will be voted upon. The positions the nominating committee will be seeking nominations for are: Secretary, Treasurer, Membership, Vice-Chairperson, & Chairperson. If you are interested in participating in the NPT Chapter in any of these positions you must be nominated by either yourself or somebody else prior to the meeting, or be nominated from the floor during the annual meeting. Please e-mail NPTChapter@gmail.com with subject “Chapter Elections” to send in a nomination for yourself or to nominate another chapter member. Make sure to include your full name and the title of the open position that you are nominating for. Please note: any chapter member not self-nominated must agree to serve in the role prior to being voted upon at the annual meeting. We have had a great core group of people that are working together to run this chapter & we would love to add more dedicated folks to our team! 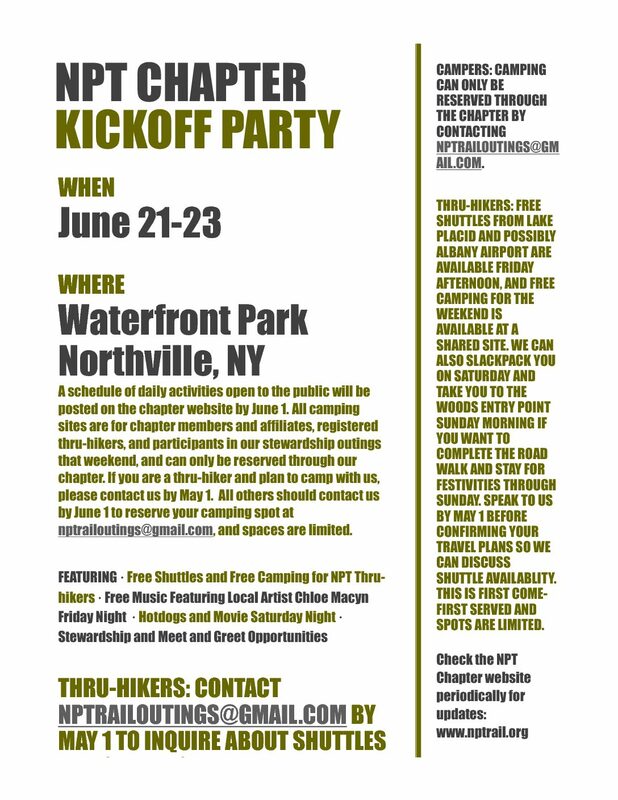 I would like to point out that we are continually trying to make upgrades to our chapter website www.nptrail.org . We have recently given users the option to “subscribe” to our website, which will send an e-mail to any subscribers every time an article or announcement is posted. Please take the time to fill in your name and e-mail address to stay up to date on everything going on within the chapter. We also post links to follow our section hikes & trail updates from time to time. As we grow and add more content to our website this feature will help us to become efficient with our communications and help us to ensure that we are reaching everybody. Lastly we would like to take the time to thank each and every one of you for supporting the NPT Chapter as well as the trail itself. We have seen some great improvements over the past couple years such as re-routes and new trail. In that time support of the Chapter has grown and we have been able to become more active. 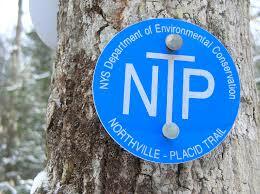 As we see interest in the NPT rise, now we must also increase our efforts to provide stewardship of the trail. Please take a minute to write down 10/23/2016 and consider attending our annual meeting. We hope to see you there! Where is the official southern end of npt?